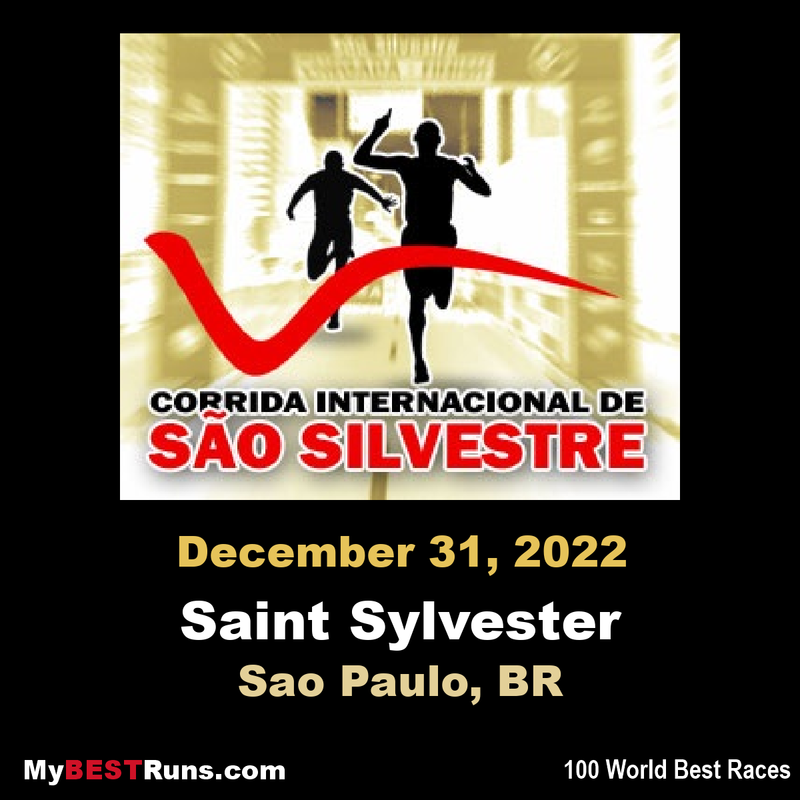 The Saint Silvester Road Race (Portuguese: Corrida Internacional de São Silvestre) is a long-distance running event, the oldest and most prestigious street race in Brazil. Regarded as the main international event in Latin American athletics, the Brazilian competition is held yearly in the city of São Paulo on December 31. São Paulo's race was originally known as a "marathon", although the course of the race, whose length has varied considerably over the years, was never that of a full marathon. Because of that, the organization eventually dropped the term "marathon." There was never an official effort on the part of the organization to address the change in the nomenclature, which causes many, including some media outlets, to continue using the term "Saint Silvester Marathon" when referring to the event. Its course is 15 kmand the race is made more difficult by the intense heat of the Brazilian summer and the geographical obstacles that have to be surmounted by the athletes.